Volunteers and staff at East Sussex Wildlife Rescue & Ambulance Service (WRAS) have spent an evening learning about how to use a human defibrillator after the charity purchased a Defibrillator which is now, available for emergency use, outside East Sussex WRAS’s Veterinary Hospital in Whitesmith East Sussex. 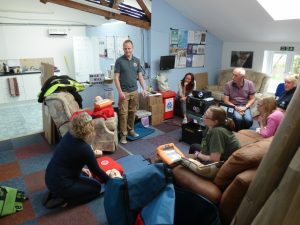 Choice Medics a medical training company based in East Sussex, which has been developed by three experienced HCPC Paramedics visited WRAS’s Casualty Care Centre on the A22 at Whitesmith to carry out the training. 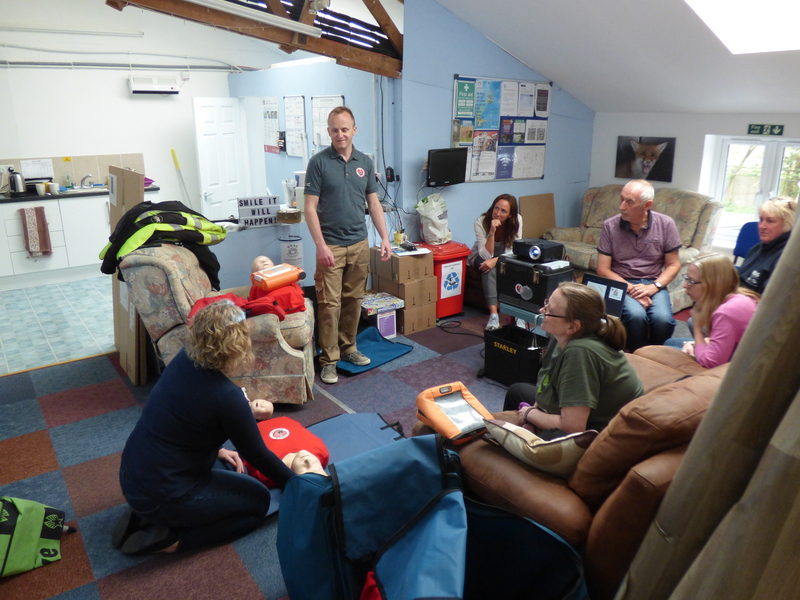 East Sussex WRAS’s staff recently refreshed their training in human first aid but were concerned about being located in a rural area. and the effect it would have on saving someone’s life. “We all thought that having a Defibrillator here and available to us and the local community just made sense. Life is valuable be it a humans, animal or bird as far as we are concerned and felt this was the least we could do. The nearest Defibrillator would currently take us around 10-15 minutes to go and collected and being in a rural location means doing good quality CPR and defibrillation will hugely increase the chances of survival for a person suffering a cardiac arrest. We see this as part of our community responsibility” said Trevor Weeks founder of East Sussex WRAS. 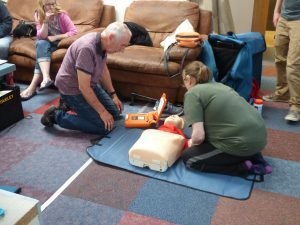 “We all share a passion for promoting First Aid in the community and work place and our aim is to provide a service, delivered by professionals who not only have expert knowledge of the syllabus but understand the application in real life situations, in a fun and engaging way. Our knowledge and experience as paramedics, will allow us to provide a training service, tailored to your needs and requirements at an appropriate level. 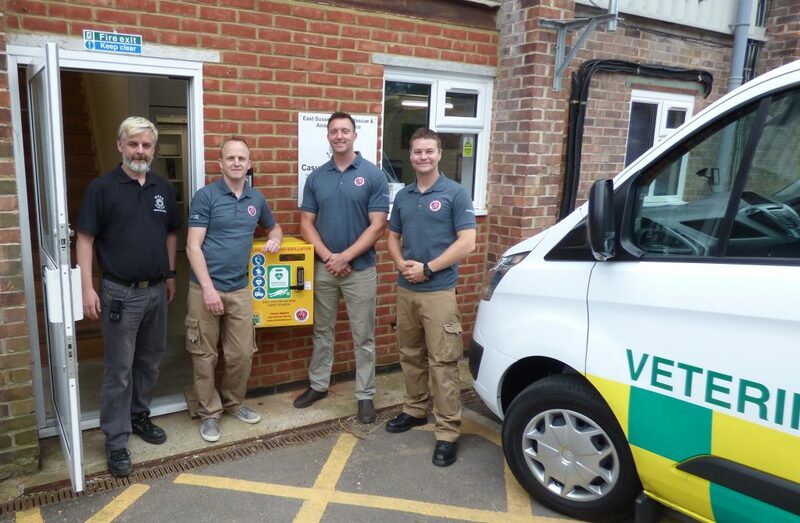 We are really pleased to have this opportunity to work with WRAS and applaud them for being so responsible in having this public access defibrillator installed. If anyone is interested in know more about having such a unit installed at their work place please get in touch” said Richard Fletcher.